On April 26th, we had our inaugural CIFAE fest at the fabulous Curia on the Drag in Gainesville. We had a wonderful setup in the backyard on a sunny day, and were excited to meet and reconnect with community members. At 1 PM, we started off with a yoga session taught by our very own Nico Tuckfield, which despite the heat, was a relaxing time for all. Thank you to all the participants--it was an informative and engaging event for all! Highlights include the adorable rabbits brought the the Gainesville Rabbit Rescue and deliciously free vegan samples from Solutionary Events! Of course, CIFAE also had a table spotlighting our work, the facts about palm oil, and our great new merchandise. Thanks everyone who stopped by! We also spotlighted some Gainesville musical talent. 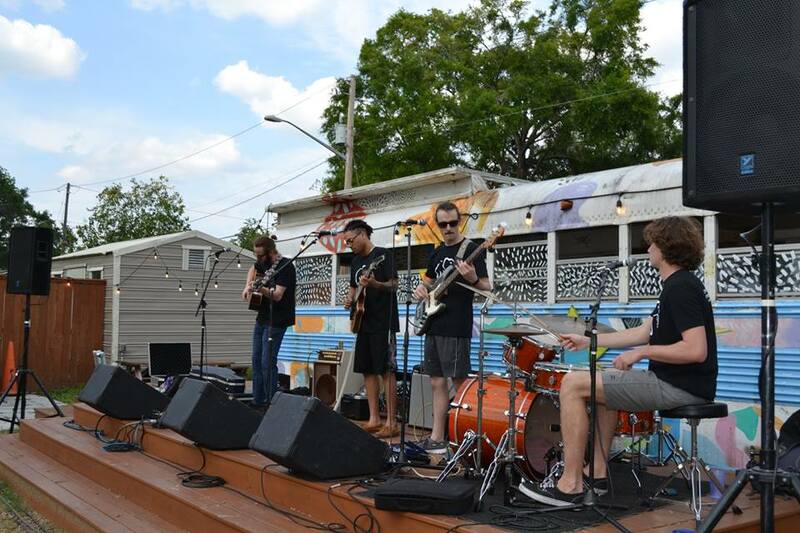 James Phillips, a UF student, played a mix of classic hits and his own songs on guitar. Later, the rising band Whale Feral played their unique, electrifying music--all while rocking CIFAE shirts. We appreciate their support and amazing talent! The night ended with a documentary screening of Elephants Can't Jump, an open bar tab, and the conclusion of our raffle (congrats to the winners!). Thanks to everyone who came and see you at next year's CIFAE fest! CIFAE’s main project is petitioning for a UNESCO World Heritage Site in Meghalaya, India. This series will explore what the meaning and benefits are to this designation, as well as unveil the process and requirements. This first part will outline the history, mission, and purpose of UNESCO. United Nations Educational, Scientific and Cultural Organization (UNESCO) is a subgroup of the United Nations, focusing particularly on the world’s cultural and natural heritage. The organization aims to identify and protect resources of high value to humanity. To implement this mission, UNESCO runs the World Heritage site program. This international program identifies and protects culturally and environmentally exceptional locations, encompassing the natural and man-made. These sites are emblematic of our collective wealth and diversity of heritage. The World Heritage Convention, a comprehensive document listing the mission and scope of the group, was signed in 1972. This obliged participating countries to recognize selected national sites as part of a collective World Heritage, which should be preserved and protected. The treaty relies on the support of its member states, which provide both the funding and cooperation. It was ratified almost unanimously, and has representation from 167 States. Based on the full list of criteria, a site is designated as cultural, natural, or both. There are 1073 sites, with 832 cultural, 206 natural, and 35 mixed. These sites get a rich network of financial and other resources from the World Heritage Fund, and provide incentive for other investors or conservation organizations to aid in preservation efforts. In addition, World Heritage sites convey cultural significance and prestige upon the receiving country. Most importantly, it binds the member state and UNESCO to protect and preserve the site from outside interference or harm. We seek dual natural and cultural status for the Garo Hills in Meghalaya, India. This site is a biodiversity hotspot, with an abundance of endemic flora and fauna and enclaves of ancient, primary growth forest. This region has one of the largest populations of Asian Elephant left! 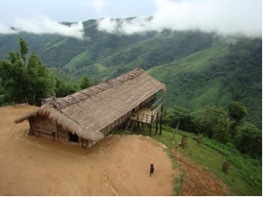 It is also home to the Garo people, who have lived on the land for thousands of year and hold an immense wealth of cultural heritage tied to the hills they live on. UNESCO status would protect the ecosystem, elephants, and people that are irrevocably tied to the area, but are now under threat from industry interests. Help us save the beautiful Garo Hills! Get to know the Asian Elephant! Asian elephants (Elephas maximus) are a symbol of wisdom, royalty, and power in Indian culture. They can weigh up to 5 tons, stand up to 11 feet tall at the shoulder, and live to be 60 to 70 years old. As grazers, they can cross hundreds of miles a day and exert powerful forces on the environment around them. Asian elephants are known to be highly intelligent and are incredibly social creatures, related females form groups of 6-7 which are led by their eldest member, the matriarch. Communication is key within and between herds; elephants are able to convey meaning through vocalizations, tactile, visual and chemical cues, and even through seismic vibrations. The IUCN lists Elephas maximus (Asian elephant) as an endangered species because their population is believed to have declined by 50% in the past three generations as a result of a degrading quality, and fragmentation of habitat. Much of this habitat loss and population decline can be attributed to expanding human populations and increased human – elephant conflict. Their current range places Asian elephants in contingency with the densest human populations of the world, populations that are still growing at a rate of 1-3% per year. We are happy to announce that we had a successful kick-off of our campaign against palm oil! On March 24th, we had a fantastic benefit party at the First Magnitude Brewery Company, a popular and environmentally conscious space in Gainesville. We spread the word about CIFAE and the adverse effects of palm oil, as well as sold our new merchandise (check out our cool hats, socks, sweatpants, and crews!) In addition, CIFAE supporters made signs for our march. We had discounts for beer, a raffle, and great information sheets for interested patrons. On Sunday, March 25th, we had our march on a beautiful afternoon at Depot Park. Though we have previously spearheaded the Global March for Elephants and Rhinos, we were excited to kickoff the inaugural March Against Palm Oil in our community. We can’t wait to grow this campaign in the future and continue to raise awareness about the harmful effects of palm oil on elephant habitat. Keep tabs on CIFAE through this blog and on our Facebook page for more photos and updates! The Conservation Initiative for the Asian Elephant is hosting its first ever masquerade ball on Friday, Nov. 3, 2017 at The Wooly. The event, which will take place from 7–11 p.m., will have raffles, photo props, light refreshments, and more. The ball will feature presentations about Asian elephants, CIFAE, and the Meghalayan Summit, illuminating what the organization hopes to achieve: a UNESCO World Heritage Site status for Meghalaya's conservation lands. The fist 50 guest who arrive at The Wooly, located on 20 N. Main St., Gainesville, Florida 32601, will receive a free mask. The attire is semi-formal, but attendees are encouraged to dress to impress. Masks are not required but highly suggested. The price per ticket is $20, if purchased online or $25 at the door on the day of the event. Tickets could be purchased through the event’s Facebook event page, or through the Eventbrite website. The event’s Facebook event page could be found here. The event’s Eventbrite page could be found here. Our Saturday, April 25 CIFAE House Party brought together almost 30 interested, creative community members to share food, drink and learn about Asian Elephant status and sustainability as well as contribute ideas and resources. After a beautiful potluck dinner on Kathleen McKee's patio having stimulating conversation, we moved to the temporary theatre in the living room to share a few talks about human dignity and it's ties to the condition of elephants; the status and condition of Asian Elephant populations; and CIFAE's fundraising goals and activities for the coming year. That evening we were excited to announce our sponsorship of the creation of a life-size articulated Asian Elephant Sculpture Bike by Gainesville artists Raymond Rawls and Lorraine Duerden to be used in Gainesville's first Global March for Elephants and Rhinos on October 4, as well as other street activities that support community engagement! We at CIFAE are so grateful for their interest and generous contributions of ideas, food and finances! We had a successful kickoff to our upcoming year of events and community connection while raising needed funds for the valueable work in our projects this year. Check out parts of Ron Chandler's talk here and here, and check out the FaceBook event link for photos! We are passionate about human dignity and human ecology and Asian elephant society is an incomparable reflection of how we as humans are operating in the world. Elephant society also teaches us a plethora of lessons of how human families can work together to raise young and be in a sustainable community. Thirty percent of all Asian elephants are captive as work or tourism elephants and almost all of them are encountering human settlements and agricultural fields. Only 40,000 wild Asian elephants remain due to habitat loss, human-elephant conflict, and poaching. About half of those are in India where poaching claimed 121 male elephants in the last four years. Death by electric fences protecting lands claims even more elephant lives. For the past several months we have been planning activities for the year, how to connect to other elephant conservationists in Asia, and supporting the amazing work being done by wildlife scientists Kashmira Kakati and Amirtharaj “Christy” Williams in in Northeast (Meghalaya), India. In February 2016 we will directly support a workshop in Meghalaya, India organised by the Meghalaya Department of Environment & Forests with the specific aim of developing a conservation action plan for Asian elephants in the Garo Hills landscape. It will bring to a common platform government managers and decision makers, communities and conservationists who have worked in the landscape. We will assist with collation and data analysis and work with meeting organizers on the ground in India. We need your support to be able to fully do this. Last year, we launched a new website. We envision many aspects of elephant-human ecology to be highlighted there as well as recognizing some champions of conservation work. As of November last year, we have been joined by Kathleen McKee as a volunteer Fellow to help us develop and implement programs that raise awareness and community involvement in Asian Elephant Conservation. In February, as part of the “Being an Elephant at Art” program, we screened a music video by conservationist and world-class musician, Ibson Lal Baruah, from Assam, India at the Cinema Verde Film and Arts festival in Gainesville, FL. “Deepor Beel Paare Paare” is a musical and visual tribute to how we must understand our impact on the environment and the contrast between foraging elephants and fishing boats, with speeding trains in the Deepor Beel wetland that elephants and many other animals call home. The screening created quite a stir in mainstream press in Northeast India. There were at least five newscasts airing a video of Ron Chandler talking about the video, and many newspaper articles reporting the screening in the USA. After all the media attention, the Assam Government issued an urgent order to clean up a trash dump adjacent to the wetland. We have been leveraging social media with Facebook posts targeting people in Asia and getting big responses. One post reached 29,000 people and received almost 900 ‘likes!’ We have a new YouTube channel and a Twitter account. We are creating awareness and action! A fundraising yard sale will be held using donations from the community! Clean out your garages and closets. See our Facebook events for the Donation Drive and the White Elephant Sale on May 16 or email us! 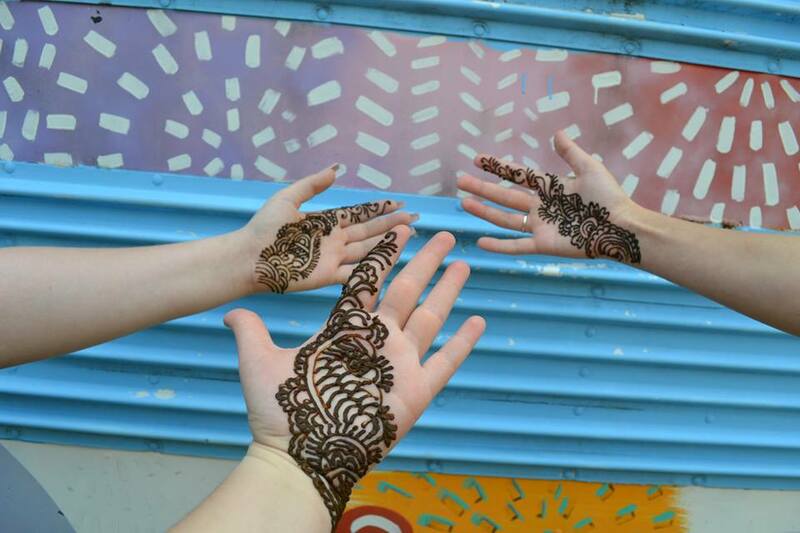 In September, we will have our fundraiser that includes food, drinks, friends, Indian art and music, and a shadow puppet show. In October, we will sponsor a march in Gainesville for Elephants and Rhinos that will coincide with marches worldwide in the Global March for Elephants and Rhinos inviting community groups to take to the streets for elephants and sustainability. We would appreciate your donations: to cover costs for supporting research and stakeholder activities in India, to pay for materials needed for the march in October, to fund elephant-bicycle art, marketing and web support. Donations can be made directly online via our website, here! We are looking for your ideas to connect to the community, partner with others, fundraise! Do you have a business that wants to sponsor an event? 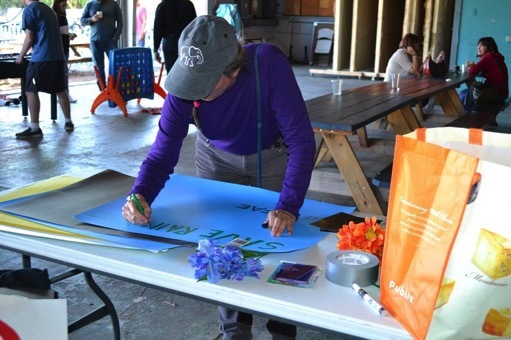 Do you have an organization that wants to decorate a bike or make a poster for our march in October? Do you have web, graphic design or marketing expertise that you would share for saving elephants? Do you want to help with event implementation? Do you have ideas for other community activities? Let us know - cifaeinc@gmail.com. We look forward to your care and support of the Asian elephant and those with whom they share habitat! Help Conservation Initiative for the Asian Elephant (CIFAE) save the Asian elephant and earn the opportunity to participate with us in a one-of-a-kind community-based conservation workshop in India. The opportunity is enormous and rewarding. The only absolute requirements are a passion for saving the elephant and the ability to write clearly and concisely. No prior experience with elephants is required. A few points about the work are described toward the end of this announcement. In addition to working with CIFAE in India (see below) interns will become members of CIFAE’s core team and will be recognized on CIFAE’s website and Facebook page. An application donation of 15.00 USD is requested and is fully tax deductible. If you do not feel that you have the time for this opportunity please consider sponsoring someone that does. If you are one of the individuals selected for this opportunity your work will be rewarded with 50% of transportation, room, and board paid for participation with CIFAE and our partner organizations in the first-ever community-based conversation workshop in one of the key elephant areas of India. We have tentatively scheduled this workshop for December 2015 and will provide more information in the coming months. I will provide detailed information to those interested in applying but basically the work will entail the following tasks. · Research for and collection of credible and substantive articles and reports about Asian elephants from popular press, research publications, and organization websites. · Summarizing information and articles in journalistic form into short easy-to-read yet accurate and informative articles. Great care must be taken to collect complete citations for crediting authors for original material. · Vetting your summary articles with me prior to publication on CIFAE’s website and Facebook page. · Cross-posting your articles to CIFAE’s website and CIFAE’s Facebook page. · Helping to construct a complete list of all not-for-profit and non-governmental organizations working in various ways to protect the Asian elephant. If you are interested, please send a short personal message to my Facebook page, https://www.facebook.com/ron.chandler.756 or Email, cifaeinc@gmail.com, stating briefly why you think you would be well suited for this work and provide your email address. I will then send you more details about the work so that you can make certain of your interest and ability before we go through the application process. PS: I will begin making selections the week of 6-October. This is the week after the Global March for Elephants in DC.